Nice assorted of pans that fit nicely in my toaster oven. Yes, I would buy again. They are small & easy to handle & work well in this oven. Great pans and easy to clean. I use these pans in my counter top oven and they work a treat. They don't stain and are easy to clean. My excitement was short lived when I received an electric toaster oven for my birthday that I always wanted because "it did not come with any pans". I went straight to my MK catalog to find them. Presto, they came in three days and I am cooking up a storm. Can finally make frozen fries that are crisp without cooking them in oil. This grate is perfect. I would definitely recommend to friends. Aside rom a nice product at a reasonable price, Walter Drake is a nreliable company to deal with. The pan and grate are fine, however larger than other pans I have had. These are a longer length making them just barely go in the toaster oven. The screen did a great job with fries, nice and crispy, but I had to really shove the crisper pan in the toaster oven. It is a very tight fit. Solid, affordable - exactly what I was looking for. Other than being light weight these are pretty nice but I made a mistake by not measuring my oven.They are about an inch too small. If yours came with a rack or pan be sure to check measurements. Will be OK for small things in my regular oven. Need to have some kind of quality control on products like these. my toaster oven pans are getting a little worn so needed new ones and not where to find new ones. I bought them before and I really like them. My old ones wore out. I have a table top oven that I purchased many years ago to use until I could get my stove oven repaired or replaced. Since I am now cooking for one, I would like to use the smaller oven to cook smaller portions. These pans should work quite nicely. More pans for the Toaster Oven! 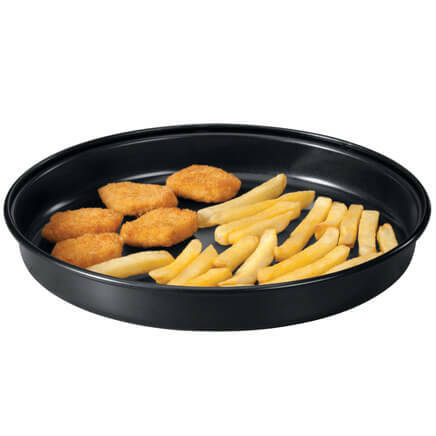 Hard to find pans that will fit into a toaster oven. I do all of my baking in a toaster oven, and sometimes when I cook breaded chicken, it just sticks to the pan and gets all soggy. I'm hoping the crisper and/or the raised rack will help this, also to help drain grease. My sister purchased a new toaster oven. Can really use these with my toaster oven. I've had a version of these for years. they were not non-stick and had a lot od wear and tear. New set was needed. WANTED TO GIVE THEM A TRY. Could not find small pans in stores. Have used these before and like them. Just the right size for two. i need toaster oven pans & these sound like what I need. 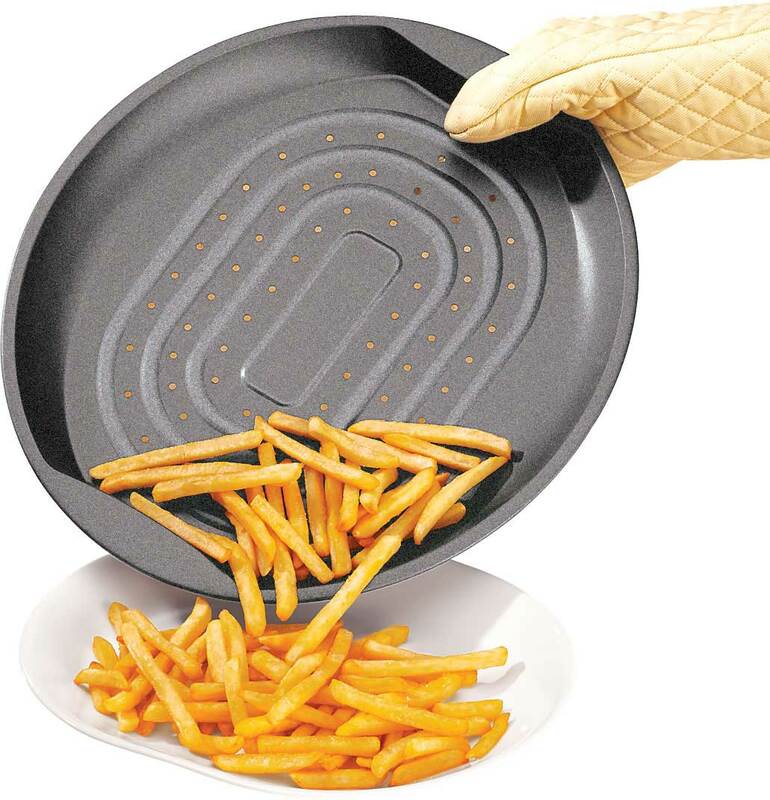 Been looking for smaller pans for my toaster oven - delighted to find them while looking through the catalog.. 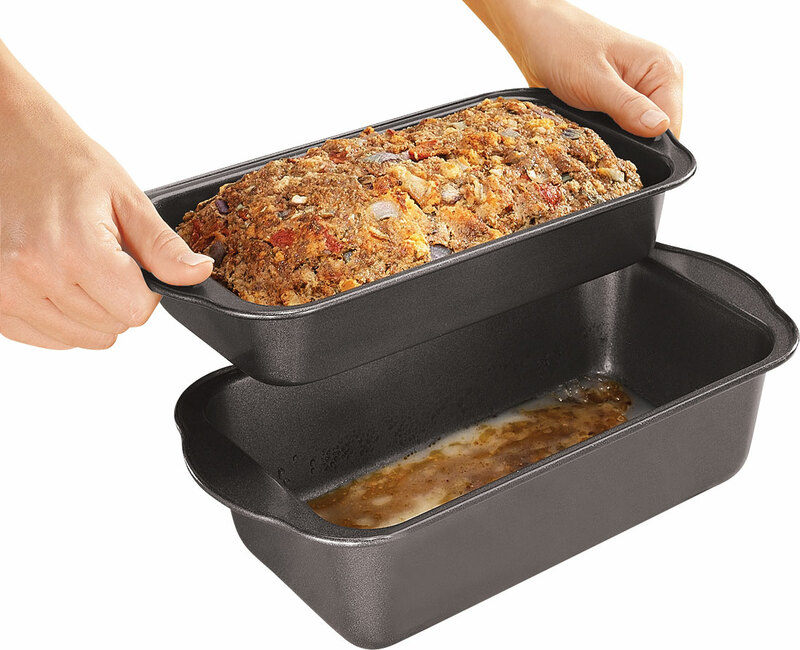 I choose these pans because I use my toaster oven often and I think these will be handy. I always get professional quality from Miles Kimball. And I've been ordering from them for forever. They fit my toaster oven and they make it easier to prepare a meal for two. Because I couldn't find them anywhere else. Regular pans don't fit the toaster oven. New toaster oven, new pans. Let's keep the kitchen cool this summer! 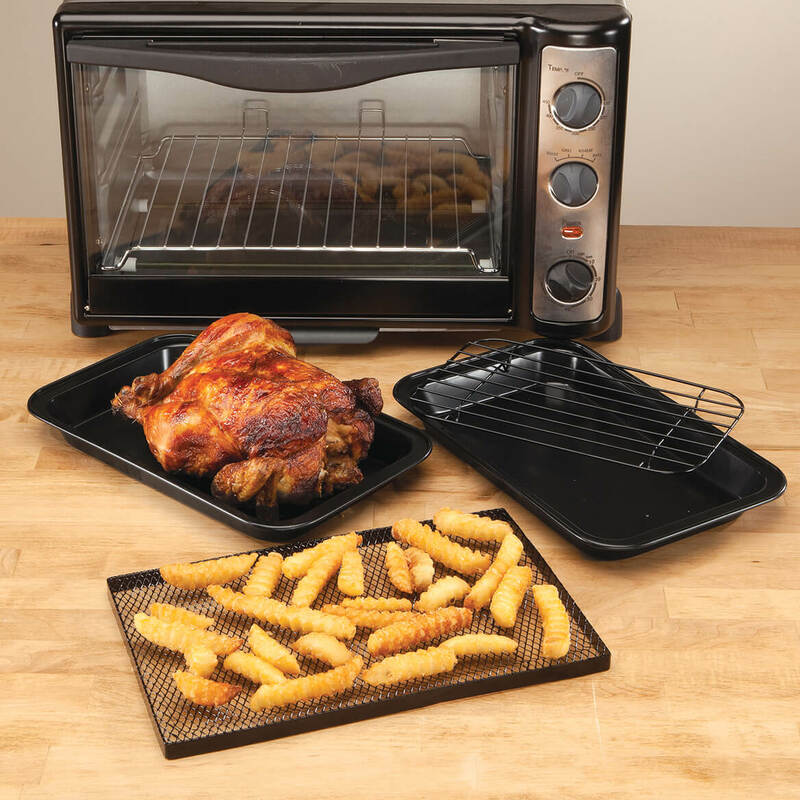 I use my toaster oven a lot and these will help. Looking forward to using my toaster oven more. Needed good pans for my toaster oven. 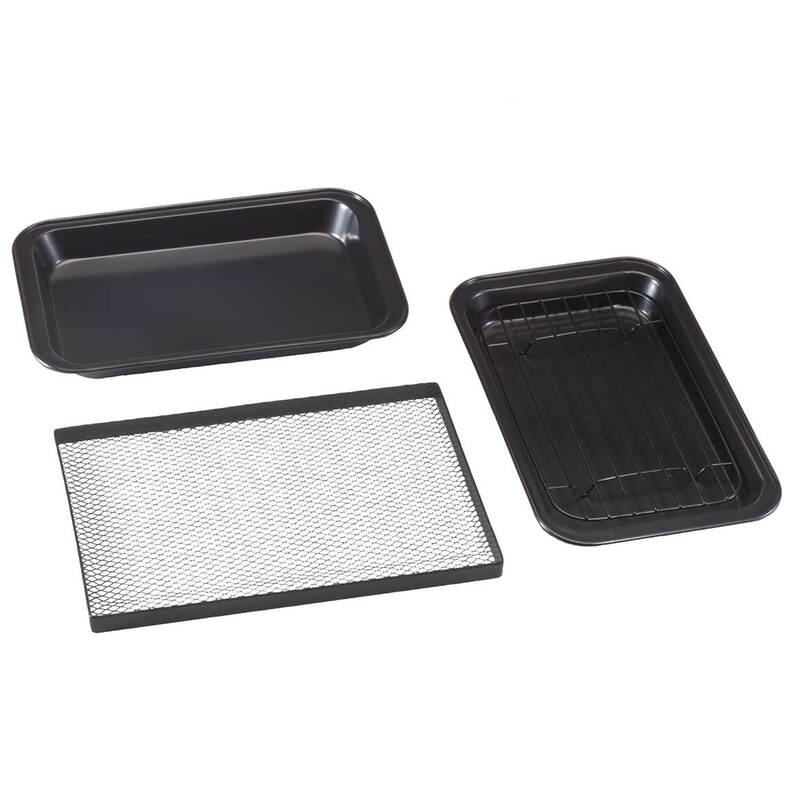 I have simular pans without the nonstick that I bought from this site. These seem to be an inch larger. Any idea where I can get them smaller? 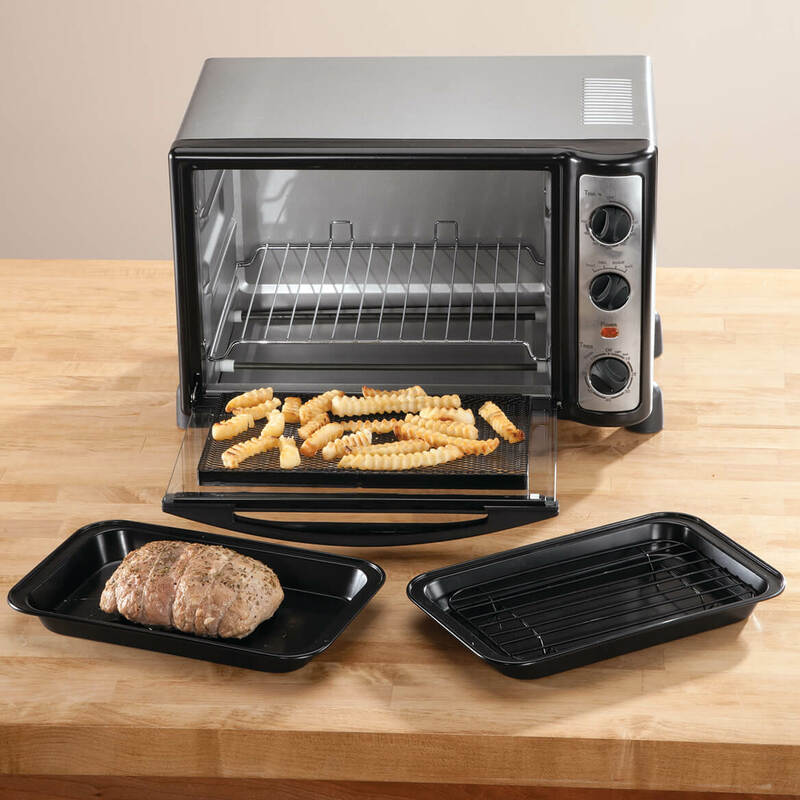 BEST ANSWER: Does this toaster oven let you know when it reaches the set temperature? That's what I'm looking for. Thank you for your question. We do not carry these pans in a smaller size. We apologize for any inconvenience. These are approximately 11 1/4" long x 7" wide x 3/4" high each. Can these pans also be used in a standard oven? BEST ANSWER: Yes, these pans can definitely be used in a standard oven as well as a toaster oven. I use these little pans all the time ! Yes they can, but they do not fit in my Black & Decker toaster oven. I cannot see why not. They can withstand high temperatures. can you use these in the regular oven? BEST ANSWER: Yes, you can use them in a reg. oven. 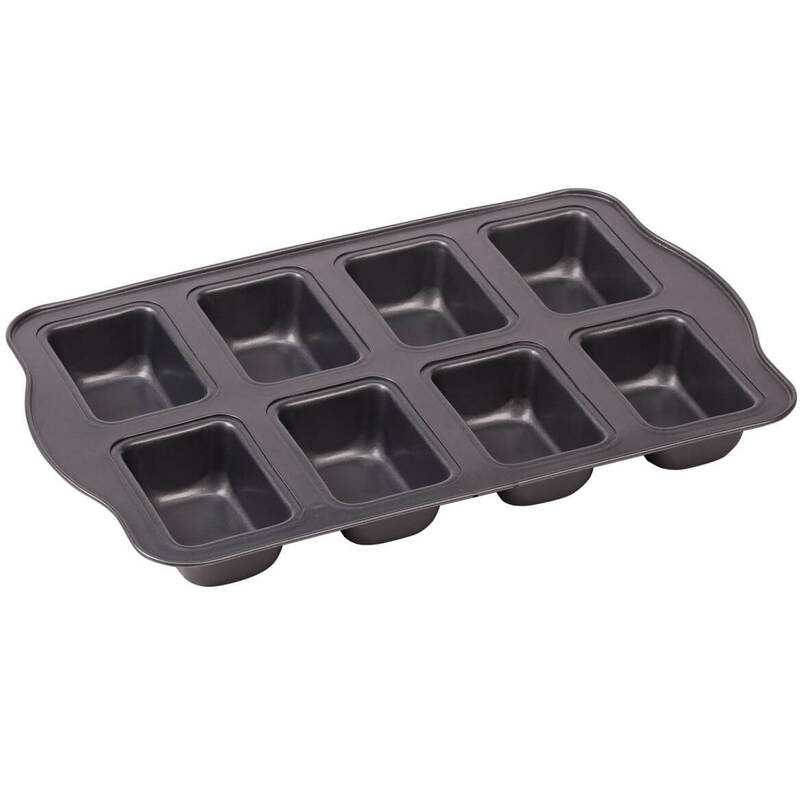 I use them in my convection oven too, which is smaller than my regular oven.Personally I use non stick foil in mine, if I'm cooking for a longer time in my oven.This has kept them nice.Have bought another set for a single friend who loves hers for use in her toaster oven. I use the regular pan in the toaster oven every day and in the range oven every other week. It is made of good metal and can take it. Just don't get tough on the paint, it will wear off and then (though it will still last a long time) it will show signs of rust. “Where’s the dustpan?” Actually, it’s snapped to the broom, so you’ll never go searching again. 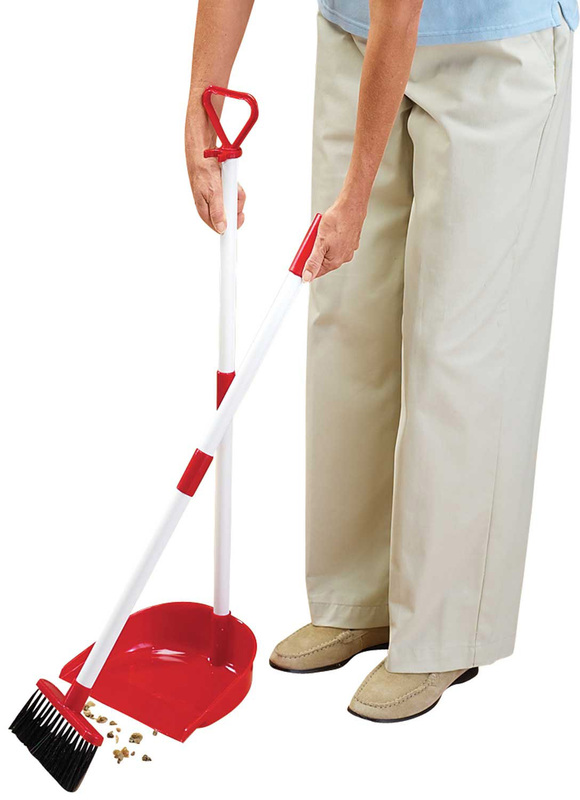 Long-handled dustpan and broom snap together for storage, snap apart for quick and convenient cleanups. Plastic. Handle is 32" long. Dustpan is 9" wide.